Growing orchids reflected social status. As material culture, plants can contribute to a person’s social status. Certain plants often become connected to a higher social class. That is the case with the orchid from the beginning of its introduction into eighteenth century England. As tropical plants, orchids demanded the comfort of a greenhouse or conservatory. “By 1839 the glasshouses at Chatsworth were packed with orchids, many collected specifically for the Duke of Devonshire,” writes Stuart. 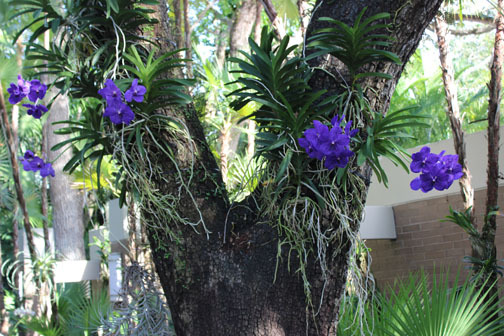 In this Florida front yard you can see orchids on a tree. The flowers had the perfect combination of heat and moisture to survive on the tree trunk. 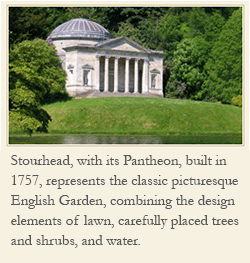 It never occured to me to judge the social status of the owner of the house and garden. Though the orchid provided many hours of pleasure to gardeners in nineteenth century America who could afford both the greenhouse and a garden staff to tend to them, today things have changed. 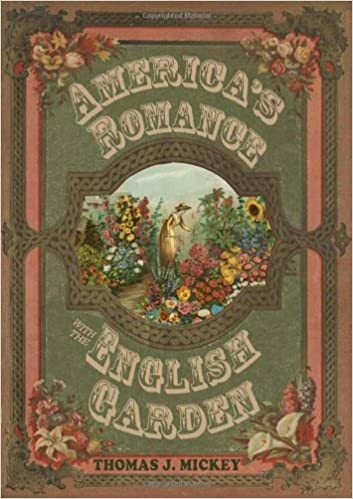 Tom Carter, author of The Victorian Garden which covers nineteenth century gardening, says, “Orchids were another class of plants needing special arrangements, and only experienced gardeners attempted them. Eventually nineteenth century nurseries in both England and America made orchids available to anyone who wanted them. They no longer belonged only to the wealthy. Today any gardener may grow them.